loved handmade: a special project.. It has taken me the entire 2nd and 3rd trimester of my sister in laws pregnancy, but I have finally finished this beautiful blanket! I wish you could feel how absolutely luxuriously soft this feels, its quite divine I tell you. As soon as we found out a little boy baby was on the way, I couldn't wait to get started on making this. It looks like I've begun a little tradition for myself, making baby blankets to welcome new little darlings into our family, what a joy! 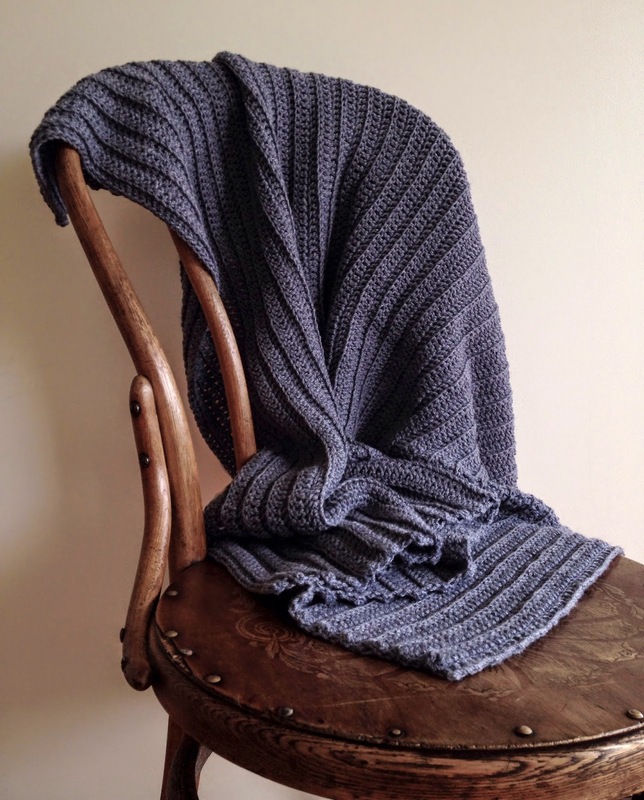 I have used Bendigo Woollen Mills Stellar in 'Moontsone', and it is a dream to work with, honestly, I want to wrap myself up in it! It's beautifully silky to the touch, so perfect for a newborn, and I'm hoping it's going to be well loved by my dear nephew who decided to arrive three weeks early. Here I was so organised making a start nice and early, then came all those summer distractions, and I ended up madly crocheting to finish it after hearing the water had broken and he was on his way! But it's done (breathe), and now its time to go gifting and baby cuddling. Sigh, I can smell his sweet newness already..
hi, its beautiful. Which yarn did you use? Sorry I just saw you put the yarn in your post. Duh! Thanks! It's beautiful. Beautiful, could you let me know what the pattern is? Beautiful! Could you let me have the pattern for this blanket? My neighbour will be having her baby soon, I d love to make this for her baby. Beautiful! What a great color for a strong young man.